I love bread – good bread (Italian ciabatta is just about my favorite), bad bread (don’t judge – WonderBread is a terrific bread when slathered in mayonnaise, cranberry sauce and leftover Thanksgiving turkey and makes me a little woosie), so the opportunity to make this bread has been this month’s comfort nestled in all the hullabaloo. I didn’t have pearl sugar, but large crystal sugar worked just fine. Oh, and rather than one large wreath, I made two smaller ones – this way the husband and I can eat one of them and the other one will go to work with him tomorrow. And just as an aside – is there anything to make one feel better than a loaf of bread shaped like a braided wreath? I think not! 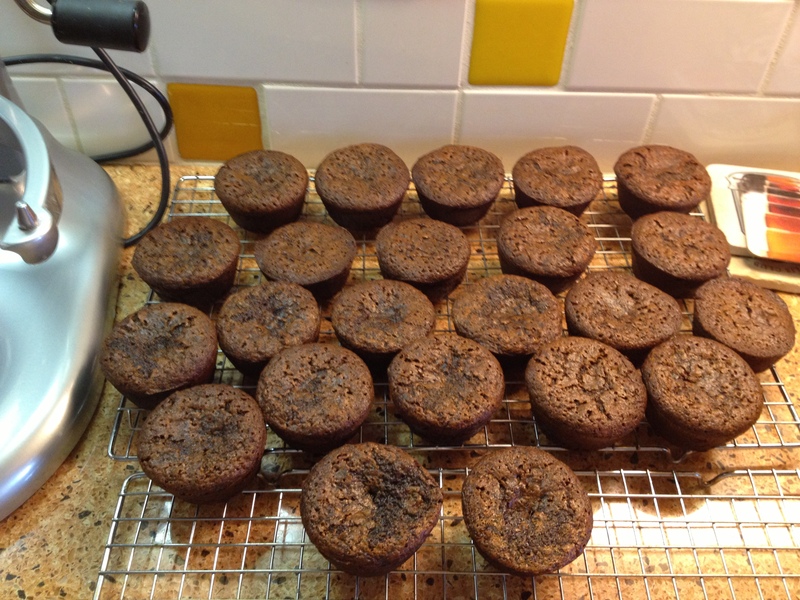 I love strong flavors: coffee, red wines, dark chocolate…Ginger Baby Cakes! It’s rare that I will bake something and then lament that I’ve given the leftovers away, but this was one of those occasions. (Lucky for me, my husband doesn’t like molasses or gingerbread or anything like gingerbread!) The day after I baked them, I found myself dunking two last mini-cakes in hot coffee and wondering if I could get back the sixteen I sent to work with a friend! I don’t have miniature cake pans, so I used cupcake pans to make ‘mini’ cakes and they worked perfectly! They were moist (the hot coffee referred to above was to make them warm, not to moisten them up!) and comforting, but yes, strong. Oh, and for the record…the batter was delicious, too. And, I do not, as a rule like batter or uncooked cookie dough.